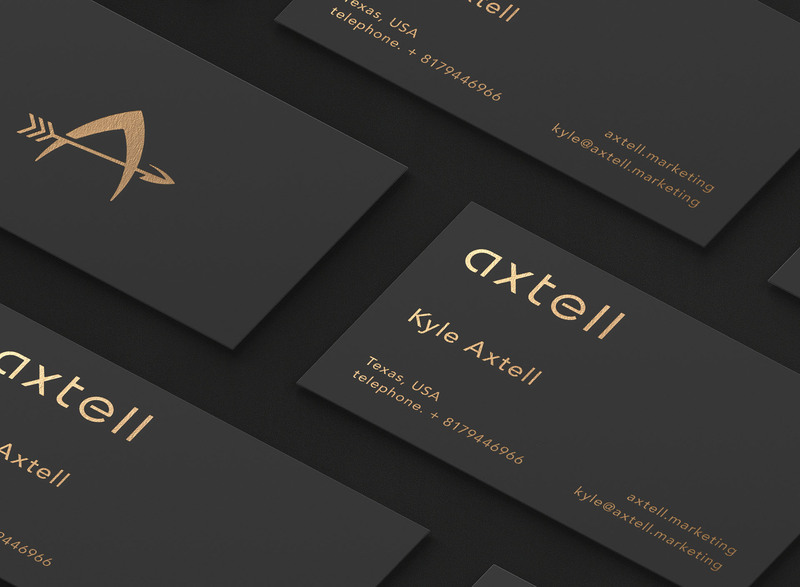 Kyle contacted me in hope to get a simplistic refinement for the old logo of his independent marketing service “Axtell”. I was asked to give attention to the text and the logo mark to make them more pleasant to the eyes. The old logo had unnecessary gradient and looked too tall. The unequal lines width and sharp points needed a refinement. "Kyle" name was removed from the wordmark, now it looks simpler and enduring. By giving the letters more room to breath, the legibility is now improved in small sizes. The old logo (left) looked too condensed compared to the new (right). A distinct wordmark that works great in small, horizontal spaces. 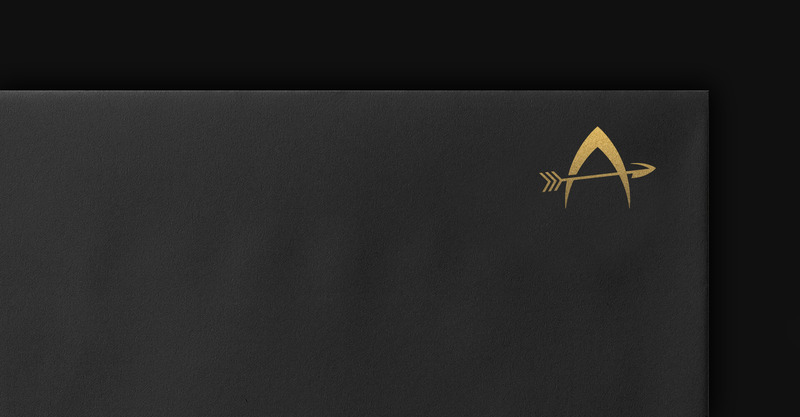 The logo in gold foil finish.